The Craighead brothers, early in their career. A pair of interesting stories in the Carlisle, Pa., newspaper caught my eye this week. The home where famous siblings Frank, John Jr., and Jean Craighead grew up is still standing, and there’s a move afoot to preserve it. The 120-year-old Victorian house in South Middleton Township, Cumberland County, was where the three siblings first learned to love nature—a love that would inspire their careers. 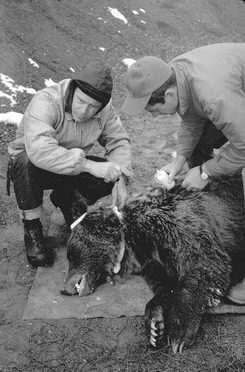 All three went on to attend Penn State; Frank ’39 and his twin brother, John ’39, would become renowned wildlife scientists and conservationists working in the Rocky Mountains, while Jean Craighead George ’41 became an award-winning writer of nature-oriented books for young adults (My Side of the Mountain and Julie of the Wolves being her best-known). John Craighead is still living; Frank died in 2001; and Jean Craighead George died this past May—her obit will appear in our Nov-Dec issue. Check out the Carlisle Sentinel’s story “Saving Craighead House” and a short companion article about the famous Craighead family. 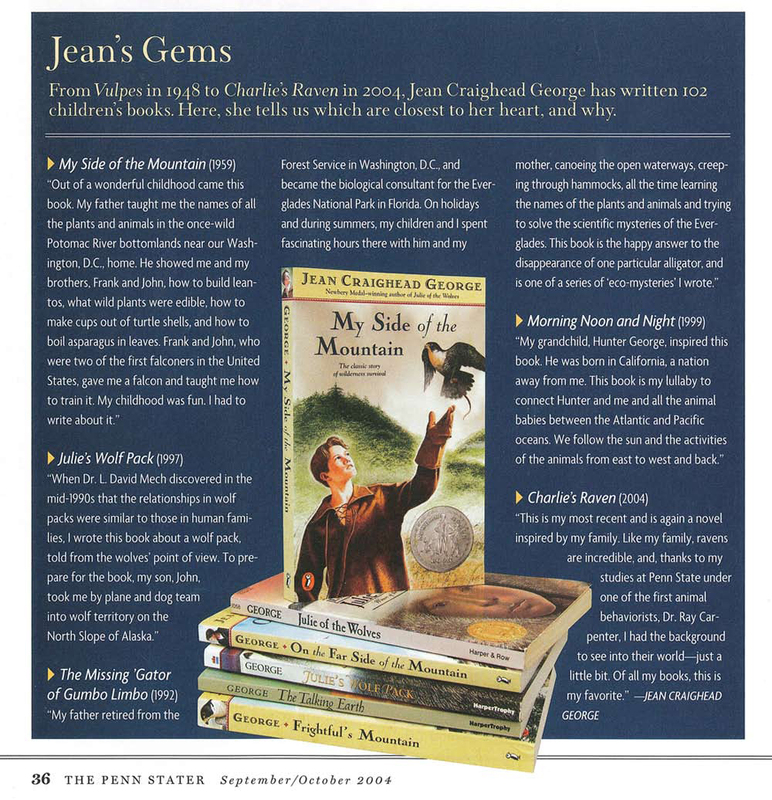 And below is something I found from our 2004 profile of Jean Craighead George: a sidebar in which she listed her own favorites of the more than 100 books she had written. Click on it to get a bigger version that you can actually read. Entry filed under: The Penn Stater Magazine. Tags: Frank Craighead, Jean Craighead George, John Craighead. Anyone wanting to know more about the house or the Craigheads can check out http://www.CraigheadHouse.org.